I've gathered some of my favorite travel photographs here. 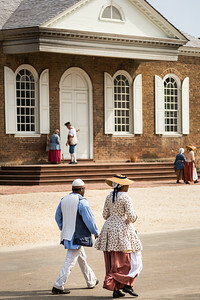 From Colonial Williamsburg to Asia and Africa, I'm always excited by what I find when I travel. 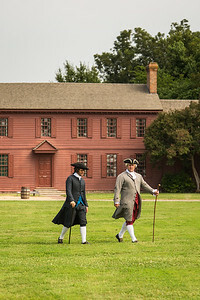 Morning is the best time to visit Colonial Williamsburg, if you want to shoot portraits of the interpreters. The light is soft and most of the visitors haven't arrived yet. It's possible to really enjoy a chat and shoot some great shots. 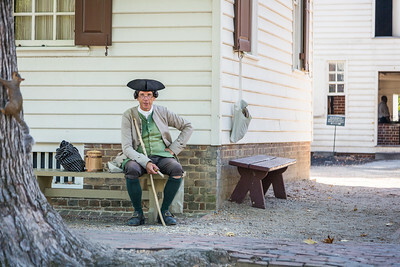 An interpreter in colonial clothing, relaxing in Colonial Williamsburg. I love the critter on the tree to the left! 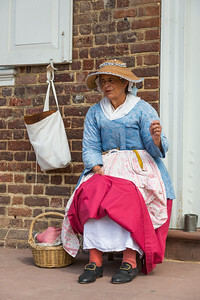 Sitting and sewing in Williamsburg, VA. 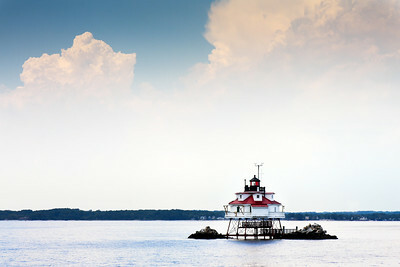 Located on the Chesapeake Bay, south of Annapolis, Maryland, this is the last operational screwpile lighthouse and is still being used as a navigational aid. It is a National Historic Landmark. I shot this from our moving boat. Multnomah Falls shot in early autumn. Tourists gaze at the upper falls from the Simon Benson Bridge perched above the lower cascade. Located along the Historic Columbia River Highway, Multnomah Falls is the second tallest year-round waterfall in the United States. A long exposure shot, using a tripod and a neutral density filter. Gwanghwamun Gate to Gyeongbok Palace, in Seoul, South Korea, at twilight. 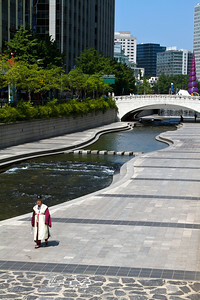 A statue of a Haechi, a mythical creature that is a symbol of Seoul, is at the far left. During the day, you can enter the palace grounds through these gates. 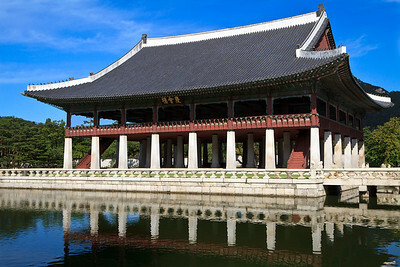 Gyeonghoeru Pavilion, and its reflection, on the grounds of Gyeongbokgung Palace, in Seoul, South Korea. This was a banquet hall during the last dynasty. This is Korea! The V sign, big smiles, lots of cameras and action. 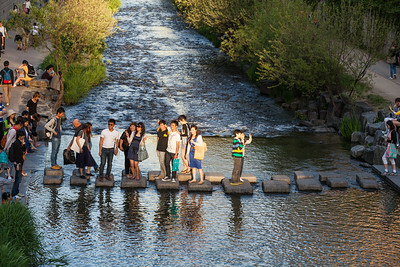 Taken in the late afternoon, along the Cheonggye Stream in Seoul, on Children's Day. 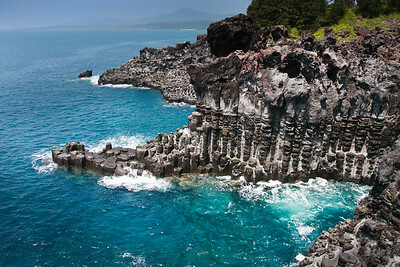 Shot on Jeju Island, South Korea, where 6-sided columns of lava rock rise out of aqua blue water along the Jungman-Daepo Coast. Jeju Island is a honeymoon destination in Asia. 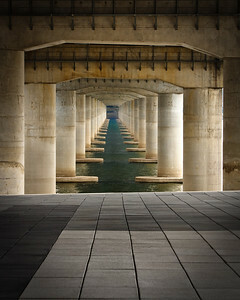 This tranquil shot was taken beneath the Mapo Bridge from Yeouido, in Seoul, South Korea. 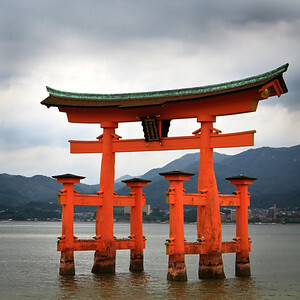 The O-Torii (Grand Gate) of the Itsukushimajinja Shrine rises out of the water on the island of Miyajima, Japan. 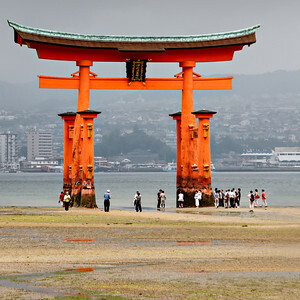 Tourists visit the O-Torii (Grand Gate) of the Itsukushimajinja Shrine at low tide, on a cloudy day. Reflections of the gate can be seen in the water left by the receding tide. 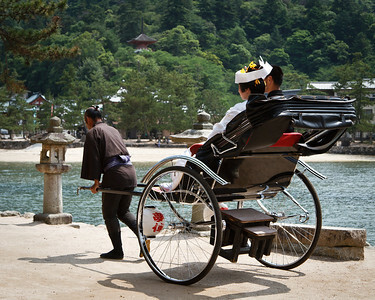 Miyajima, Japan. 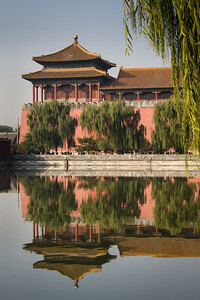 The Meridian or South Gate Watchtower of the Forbidden City in Beijing, China, is seen and reflected in the moat. 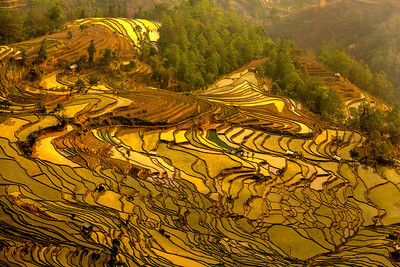 The Yuan Yang Rice Terraces in Yunnan Province, China, at sunset. These terraces were hand carved out of the side of the mountain over thousands of years. Because of the cooler winters, only one rice crop is grown each year. You can see the new bright green rice plants in a few of the ponds. The rest are filled with water and reflecting the sunset. Soon, the rice plants will be planted in all of the ponds. These rice terraces are located about fifteen miles north of Vietnam. 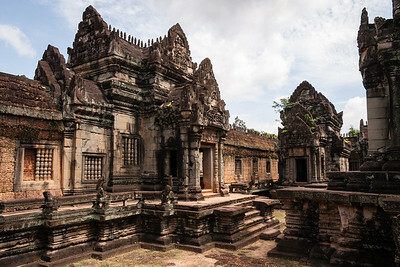 Banteay Samre Temple, near Siem Reap, Cambodia, has far fewer tourists than Angkor Wat, due to its remote location. It's well worth the drive! A panorama taken as the sun sets behind the Cederberg Mountains at a watering hole at Bushmans Kloof Wilderness Reserve. Western Cape, South Africa. 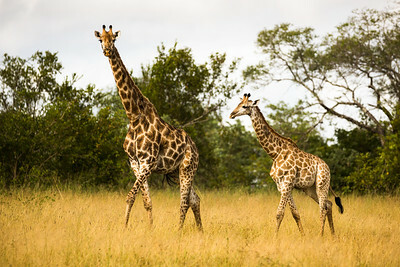 A mother giraffe and her calf walking in the grass in the bushveld in Sabi Sabi, South Africa. 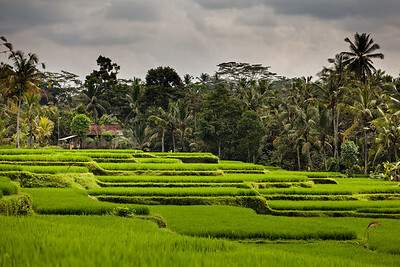 A view of rice terraces and a farmer's house, near Ubud, in Bali, Indonesia. 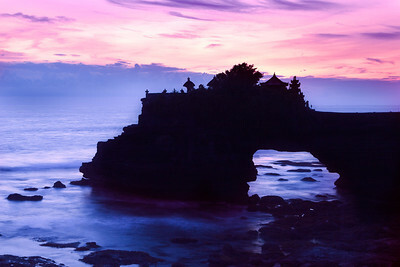 Pura Bata Bolong is located near Tanah Lot, on the Indian Ocean, in Bali, Indonesia. A Hindu temple, it is named after the hole in the rock. This was taken after sunset, using a 6 second exposure.